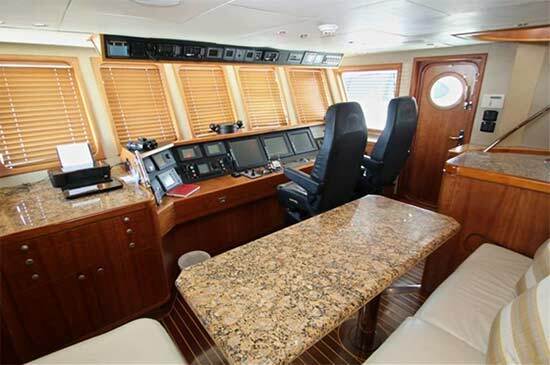 "Impetus" was custom built for a very knowledgeable owner and is the finest example of the 95' Inace Explorer built to date. 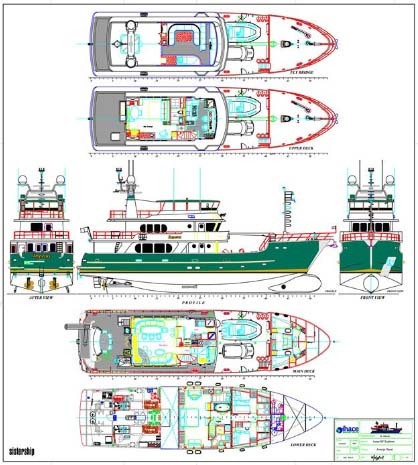 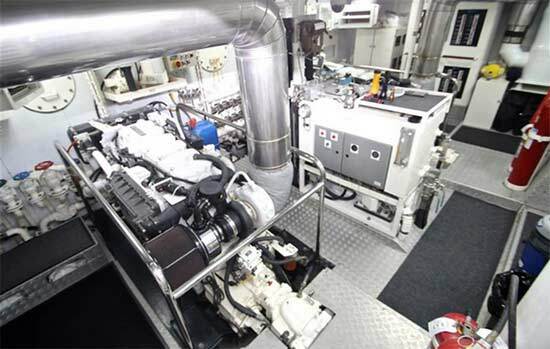 She had a demanding design specification with extensive custom details in the layout and storage and only top quality equipment and systems were used throughout the vessel. 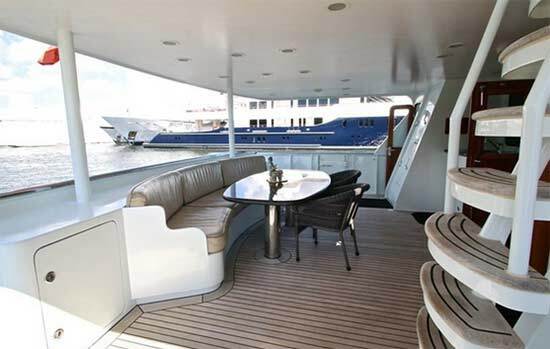 See the Showboats Magazine article "Natural Progression" of how "Impetus" came to be built and her special design features. 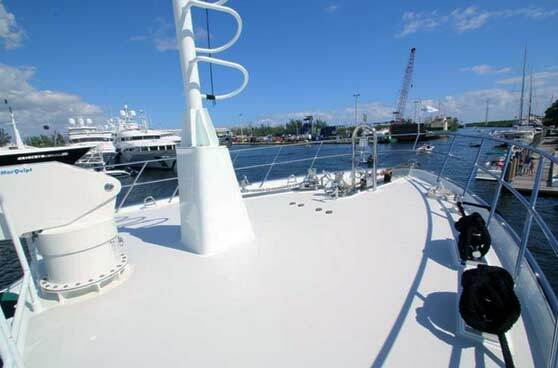 Narration of the first delivery for "Impetus". 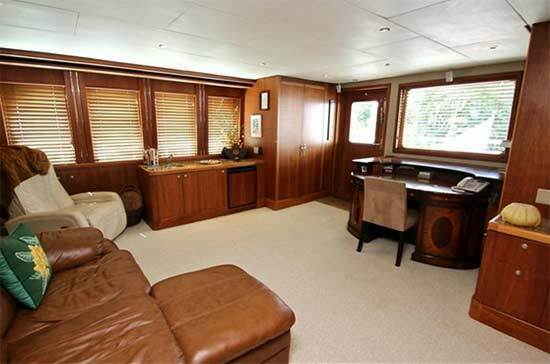 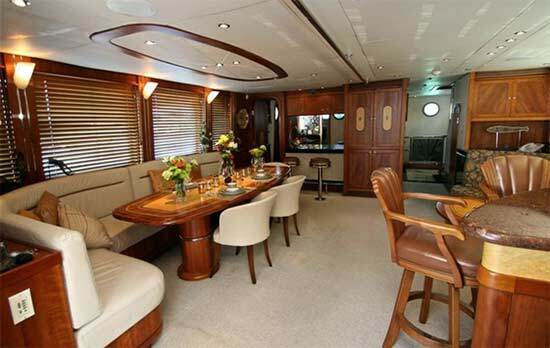 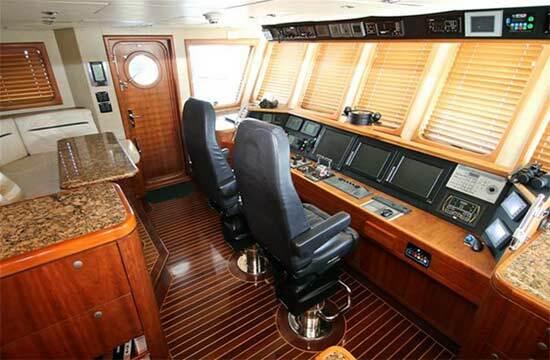 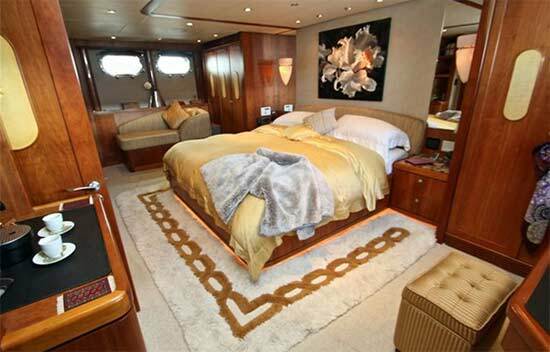 "Impetus" has the room and feel of a much larger vessel and is extremely sea-kindly and efficient. 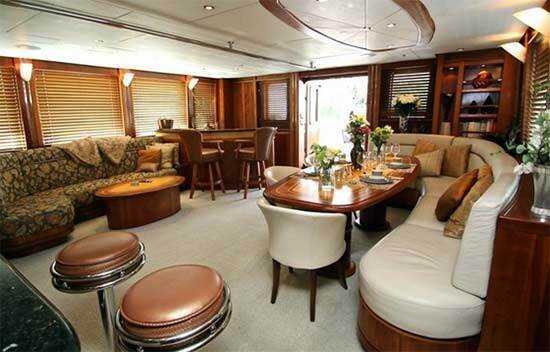 She can accommodate 8 owners/guests in 4 staterooms when the skylounge is in VIP Stateroom mode and 3 crew in the 2 crew quarters. 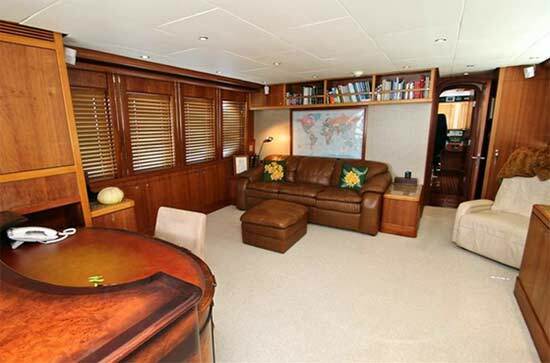 Her large sky lounge has the versatility to be used as a 4th queen VIP stateroom, an office, workout area or home theater. 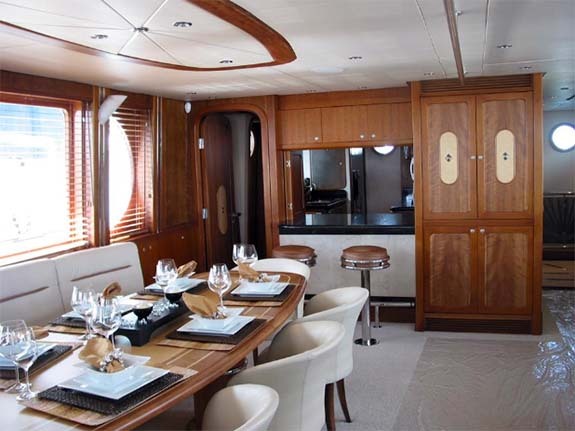 Her custom cherry interior was designed by Kirschstein Design and features arched doors and extensive use of burled wood inlays. 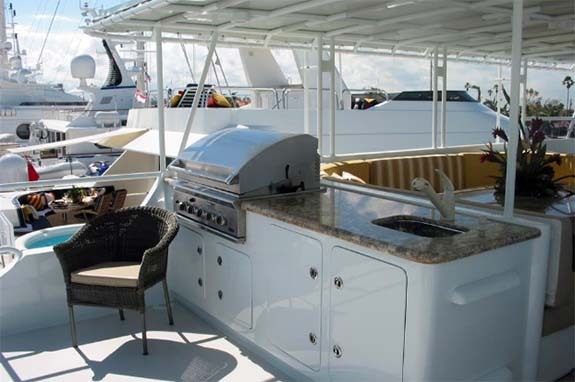 The flybridge is massive and has a full size hot tub, gas BBQ, full bar, large dining table and very comfortable forward navigation seating. 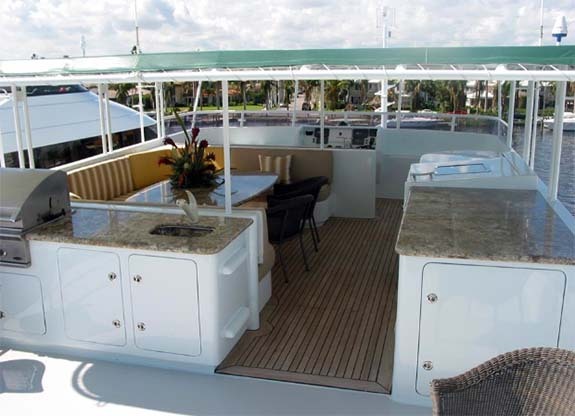 "Impetus" was designed and built to be highly reliable, comfortable and low maintenance. 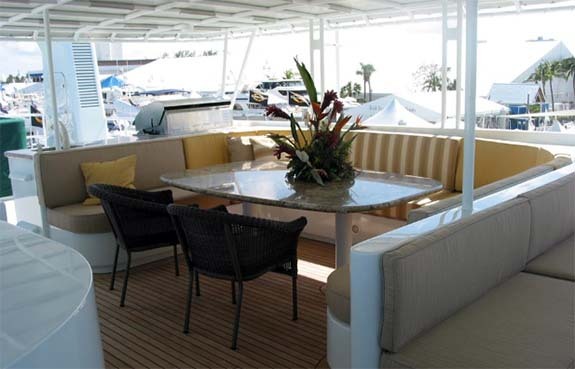 Extensive use of stainless steel, granite and other design elements creates a "yacht feel" while reducing man hours in brightwork and other non-essential upkeep. 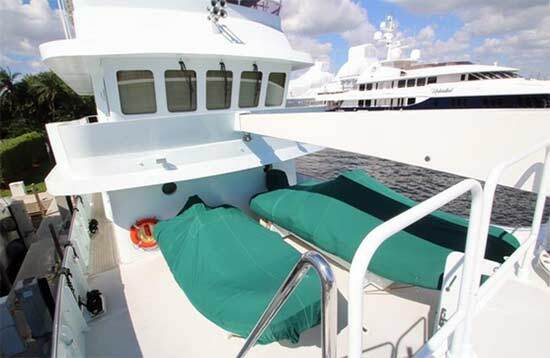 She is fully equipped for world cruising with an extensive navigation system, a huge amount of storage and room for lots of toys including a Mini Cooper.